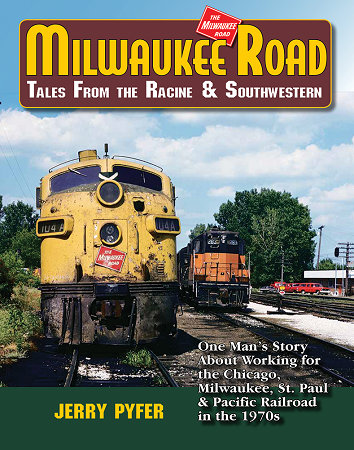 Milwaukee Road’s Racine & Southwestern Division linked the railroad’s hometown of Milwaukee, Wis., with the Mississippi River at Savanna, Ill. Hired on in 1971, Jerry Pyfer shares stories of Midwestern railroading combined with his colorful photography. Climb aboard with Jerry as he covers the entire division in its final decade.